The year was 1981, and in the world of pasta, the times they were-a-changin’. Almost overnight, Americans went from thinking of pasta as “spaghetti and meatballs” to seeking an array of shapes, flavors and recipes. 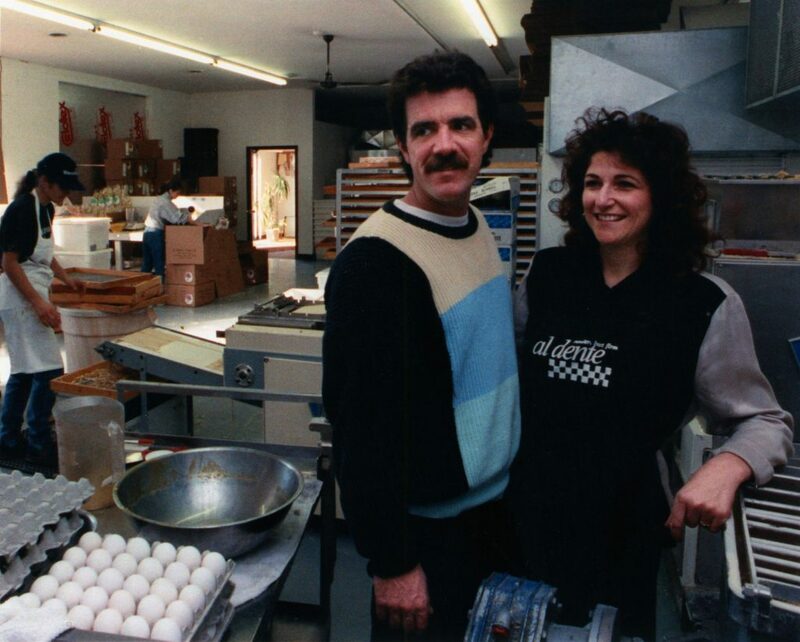 This was also the year that Monique and Dennis Deschaine started Al Dente Pasta Company with the $6,000 they borrowed to purchase their first machine. Back then they would work during the night making pasta at a friend’s restaurant, praying it would be dry by the morning. It was exciting; it was exhausting, but they were determined to make it work! In could be said that Monique inherited her passion for food from her French Mother. “I was born a foodie”, says Monique Deschaine. On her trips to France as a young girl, her relatives would remark how much the “little American” enjoyed sitting at the table for the three hour lunches, totally intrigued by the food, the conversation and the rituals. Monique also had the good fortune to receive advice and tutelage from many. 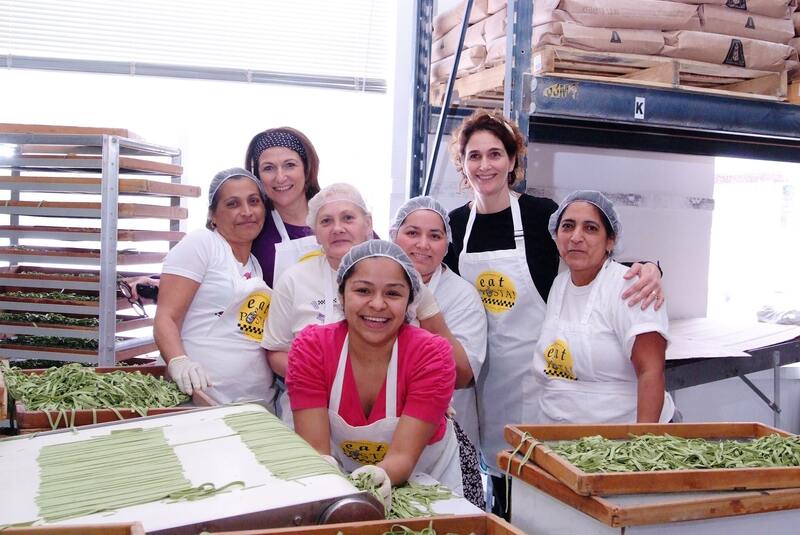 One of her most influential mentors was Marcella Hazan, the Italian cuisine master, who taught Monique everything she needed to know about making pasta. Hazan stressed the importance of rolling out the dough, just like an Italian grandmother, in order to achieve a “tender, but firm” homemade taste and texture. 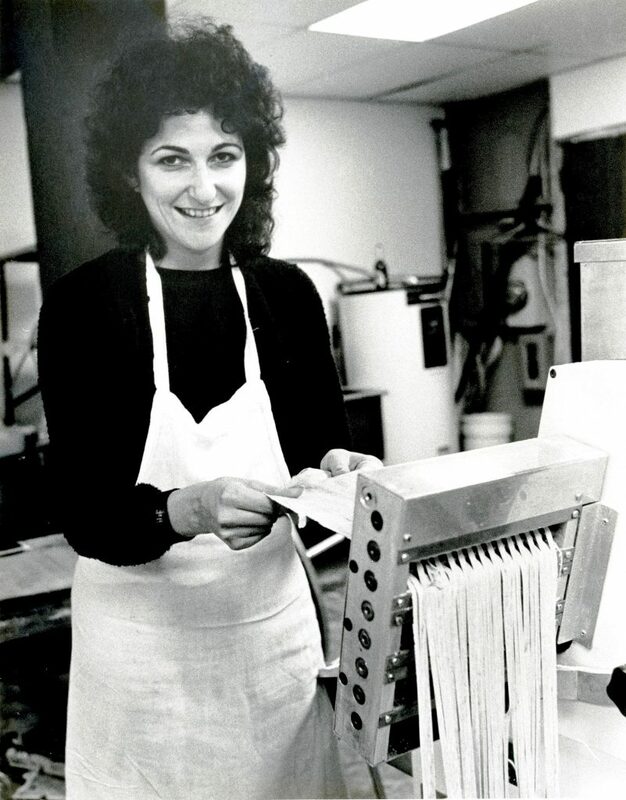 Despite the fact that sheeting the dough was a more expensive, labor-intensive way of making pasta (compared to extruded pastas) it was the only way to get the perfect result for which the Deschaines were looking. Dennis possesses the perfect match to Monique’s spirit and generosity. He can design, repair and build anything! 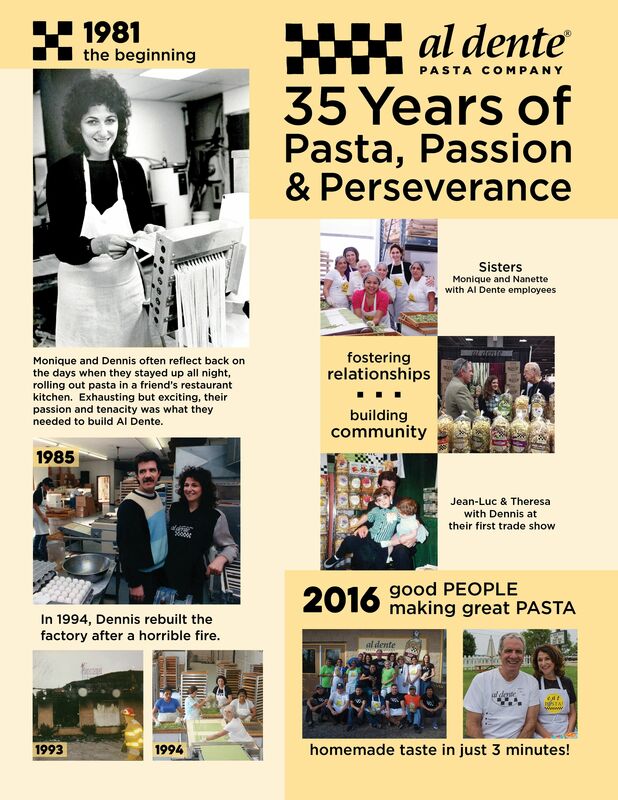 Over the past 35 years, he has built the Al Dente brand; he has built the Al Dente Factory; he has built the Al Dente business! Dennis is a visionary, highly regarded as an industry leader in the world of Specialty Foods. Dennis devoted many years to the SFA (Specialty Food Associaton) including serving as the Director of the SFA board. Dennis continuously contributes his entrepreneurial expertise, time and energy with the industry as a whole. Yes, a lot has changed since 1981, but what hasn’t is the Deschaine’s commitment to making pasta famous for its fresh, homemade texture and 3 minute cooking time. There are now 20 people working together in the factory Dennis built just north of Ann Arbor, Michigan. These pasta experts roll out fettuccine, linguine and pappardelle in many flavors ranging from the traditional, such as Spinach Fettuccine, to the exotic like Squid Ink Fetttuccine. 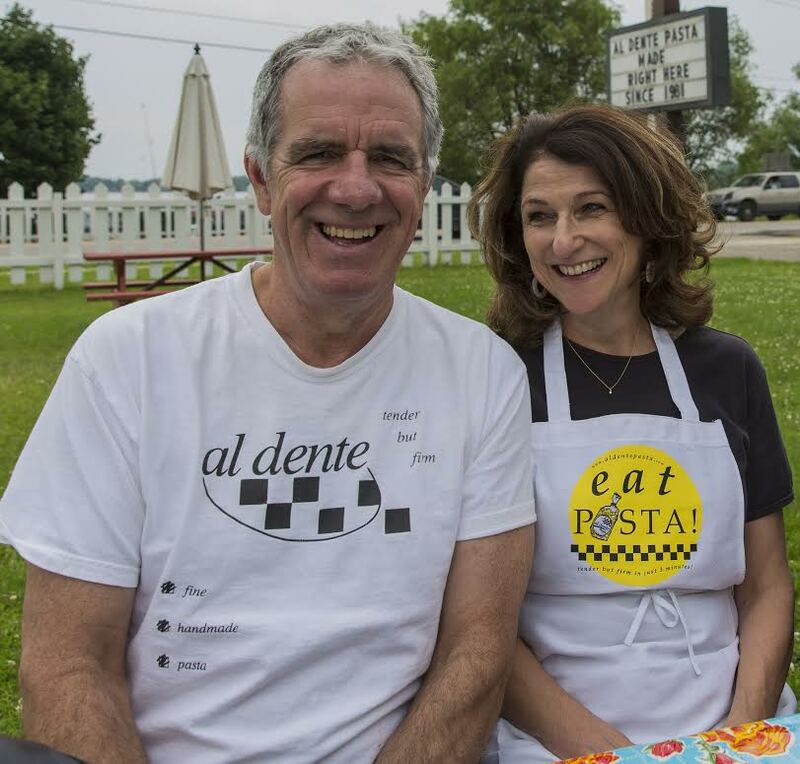 The Deschaines have always regarded pasta as a modern-day lifestyle food, requiring continuous reflection and non-stop innovation in order to stay in step with the times. Over the years, the Al Dente now includes Carba-Nada, a reduced-carb pasta, vegan Bona Chia and their new Gluten Free Pasta Spirals. Found in fine stores all across North America, the pastas retail for approximately $3.99. is composed. This content is really informative and interesting.